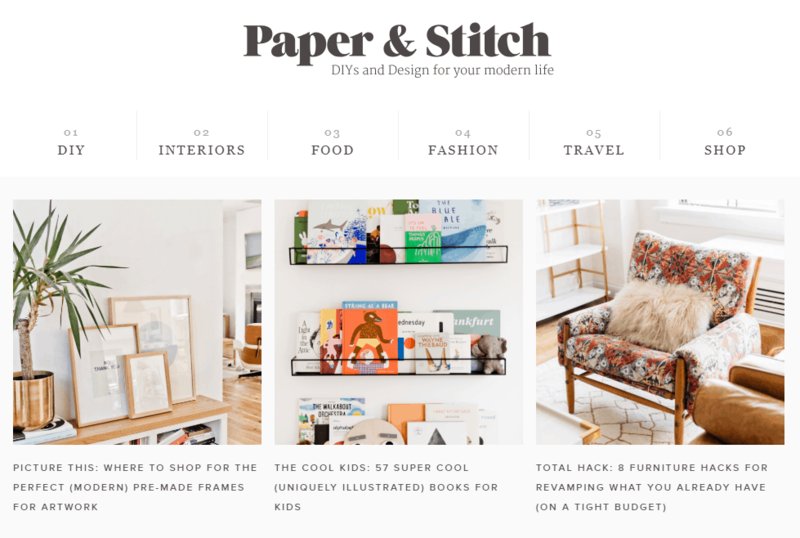 What are Interior Design Blogs? 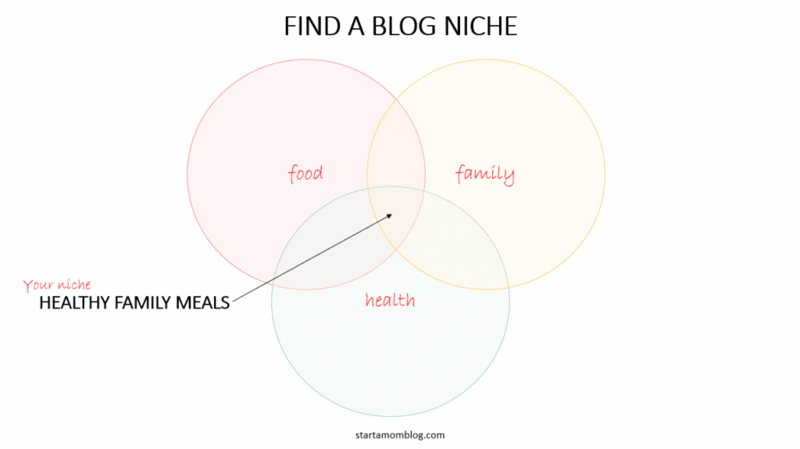 It’s no secret that blogging niches abound! However, no two blogs are the same, because each blogger is different. 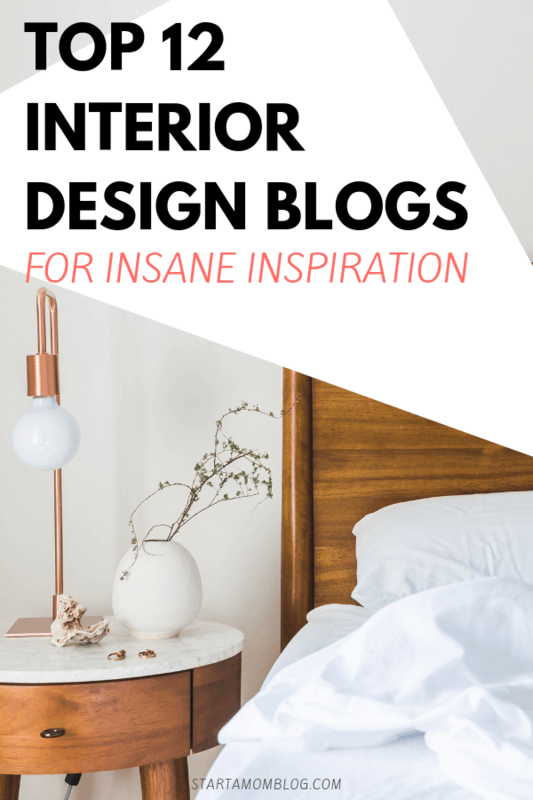 So what makes interior design blogs such an interesting niche, what can you use them for, and which ones are worth your time? I can’t wait to share my favorites with you! 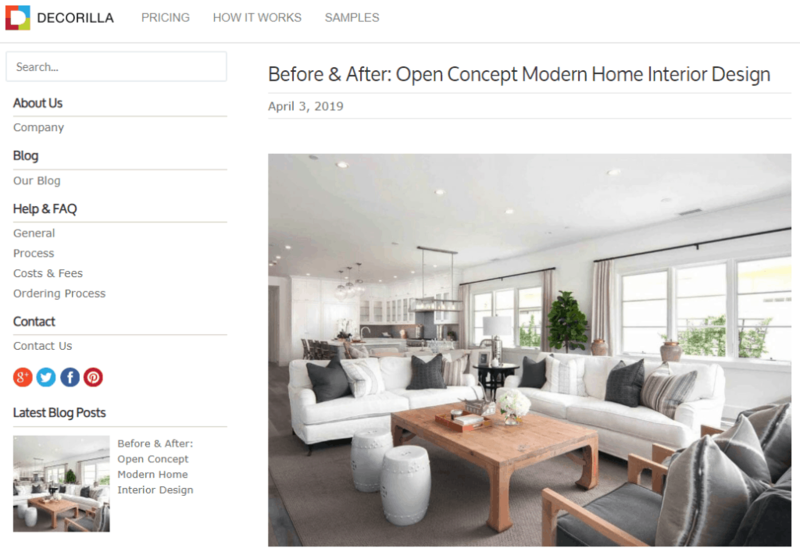 With all the different types of blogs out there, it can be confusing to know which blog is specifically, an interior design blog. The defining feature of an interior design blog is that it focuses on something related to home decor and can niche down from there. Interior design blogs are more than just pictures, though they will showcase some of the best home decorations on Pinterest. They contain not only pictures, but often explanations of the process, the products that they used, and instructions on how you can replicate the look in your own home. Some lifestyle bloggers also have a section on their blogs dedicated to home decor. One of the beautiful things about blogging is the variety of ways to do it and make it unique to you. If you are good at coordinating home decor and have a great eye for color, or enjoy renovations projects, you might consider starting your own interior design blog. You can start your own blog with minimal investment. No one has the same ideas that you do. The world needs to see your designs! Here are some tips to get started. Interior design blogs are a broad category. Some of them are more DIY focused, others focus on renovation, some are more organizing focused. Others choose to focus more on home decor, some focus on furnishing, and others on hardware such as countertops, floors and cabinets. For example, you can take three major topics, and find the overlap of them. That can be your new unique niche. People of all experience levels can start an interior design blog. Some are run by professionals in the field, but others are run by people that simply enjoy transforming their own homes and sharing it with others. Finding a blog name can be hard! A good blog name can be just your name, or something else. In order to stand out, you want something creative that speaks to your audience. Something generic will not make you stand out. Try to find something that will speak to your target audience and what their dream home might look like. When trying to find the perfect blog name, I try to envision different pictures to brainstorm a list and write everything down that I want to try. If something is taken, then I move on to the next one. For example, when I checked “CozyHomeAndHearth” was not yet taken, which to me brings to mind cute comfortable living rooms with blankets on the sides of the couches decorated with big throw pillows. In my mind’s eye, said couches surround a beautifully framed fireplace with a warm fire crackling inside. Some people naturally have an eye for color coordination and can visualize what decorations would look good in a particular place, or how the wall would look if it was painted gray. Others do not have that gift of being able to envision the final product. If you have no eye for color or what things go together, you might have a tough time with an interior design blog. If you do not enjoy construction or home projects, you might want to go with a different type of blog. Home projects inevitably bring with them some temporary mess. If you have no tolerance for that, then you will be miserable with a mess in your home while projects are ongoing. 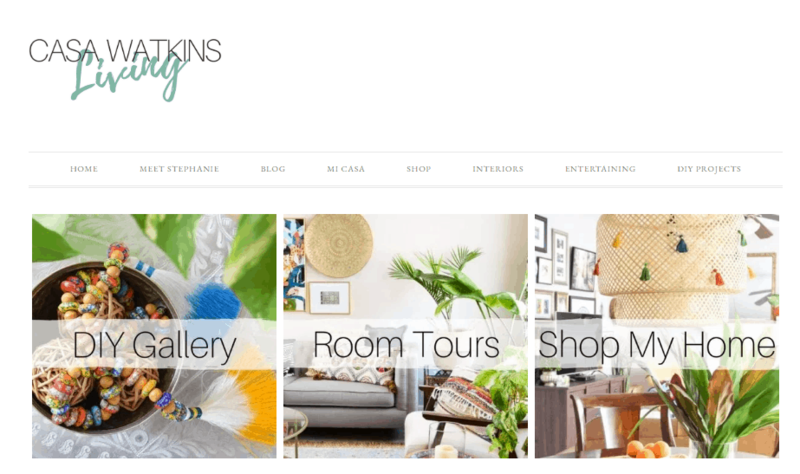 It’s ok if you decide that interior design blogs are not for you! 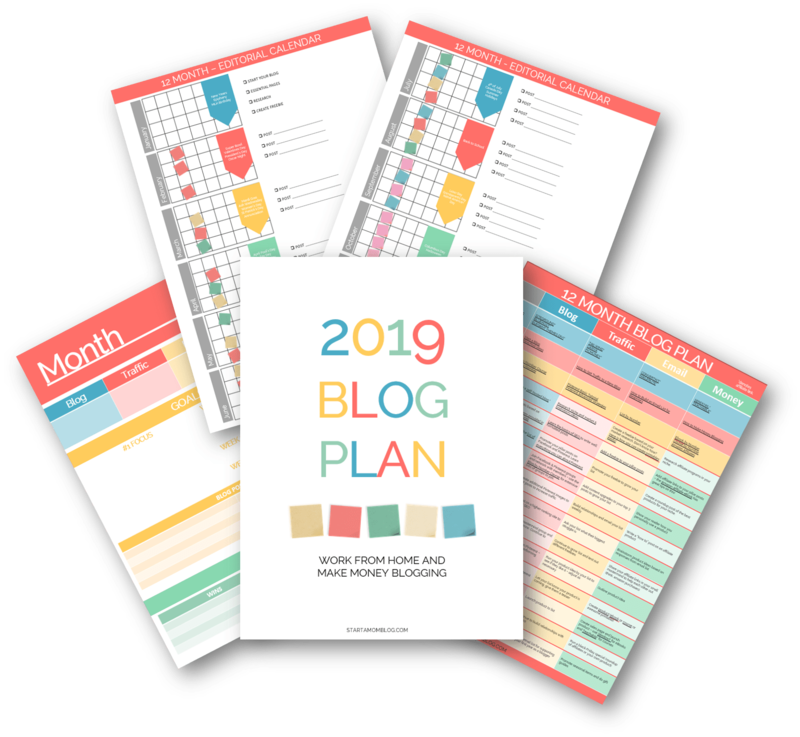 There blogs in every niche imaginable, from mom blogs, to finance blogs, to personal development blogs, to marketing blogs, and lifestyle blogs. Pick the one that you are passionate about! I keep a journal handy to jot down blog post ideas when they come. Some home decor blogs have articles on what they find inspiring, projects that they do in their own homes, furniture flips, how to make small spaces look bigger, color schemes, an organizing project, minimalism, and room by room house renovations. Christy Harper advises “Let your blog be an extension of your life.” I think that’s good advice for any type of blogger, not just those in home decor. Show your readers YOUR house. It’s ok to have a before photo that is a complete disaster and an after photo that shows the transformation. Our lives are not in order all the time, and it’s ok to share that. It makes you relatable. The more ideas that you can jot down in your journal, the more stockpile you will have for later if writer’s block hits. 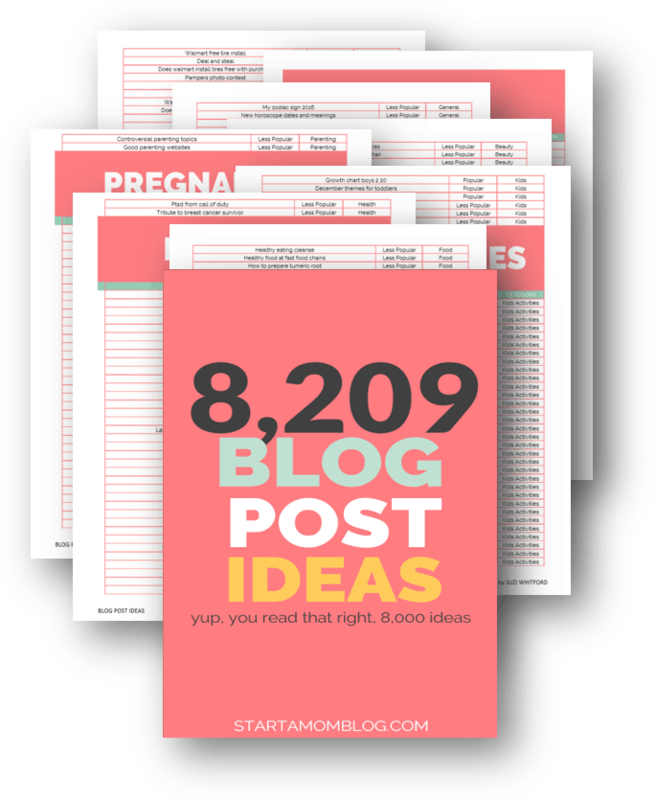 I also have a list of over 8,200 blog post ideas that span all niches if you are really stuck. Take pictures of things that inspire you. You will be surprised at what you can do when you get started! As with any niche, the first tip for success with an interior design blog is that you need to be passionate about the subject matter. When you enjoy what you do and share it with others, it comes through in your posts. Even better is the fact that you can make money blogging. Interior design blogs are very well suited to this. You can use Pinterest to get traffic to your blog, and Canva or Picmonkey to make beautiful pins that “pop.” You can also do sponsored posts where companies pay you to review their products and sign up to be an affiliate for products that you honestly love and recommend. Christy Harper from The Harper House spilled some of her best secrets with me and reveals that she made $93 in her second month of blogging. Most of her income is split between ads and affiliates. She now makes a full time income from her blog alone! 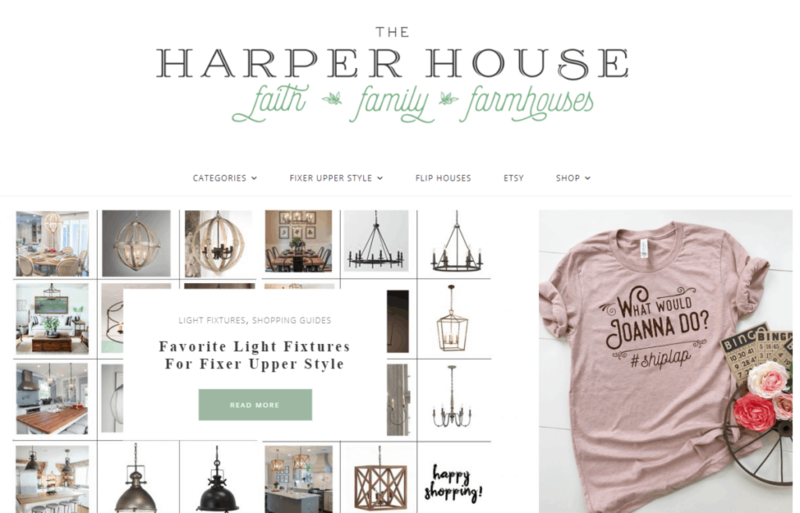 The Harper House is an interior design blog focused on renovation. Christy and her husband are house flippers and her designs are absolutely beautiful for the whole house. She covers everything from paint colors, shiplap, light fixtures, and designs for the whole house. She also has an etsy shop. 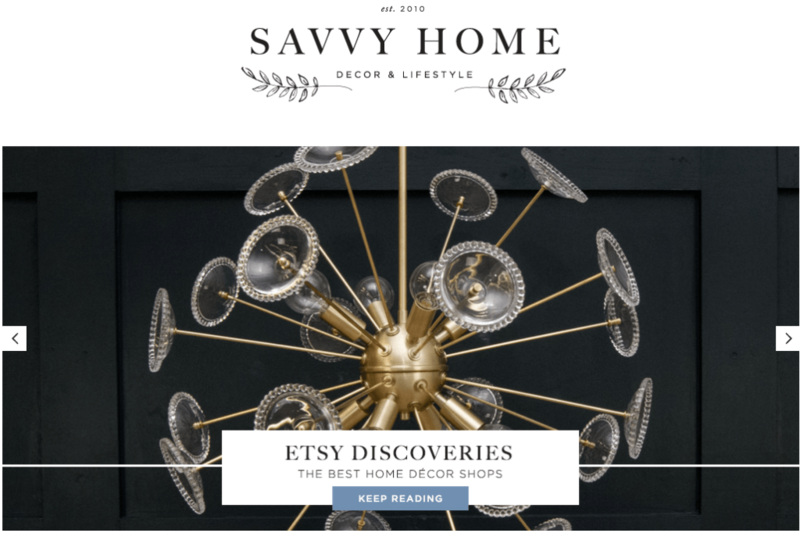 Savvy Home Blog focuses on home decor. If you are looking for inspiration on how to make any room in your home look cohesive and “put together” it’s a great place to look for inspiration. Even if you have a very small space – she can help you. She started in a 280 sq ft New York Apartment! Joanna and Chip Gaines are household names in the home renovation and home decor business now, thanks to their show “Fixer Upper.” What I did NOT know until I read their book “The Magnolia Story” was that Joanna’s blog was the reason that they got the offer for the show in the first place! 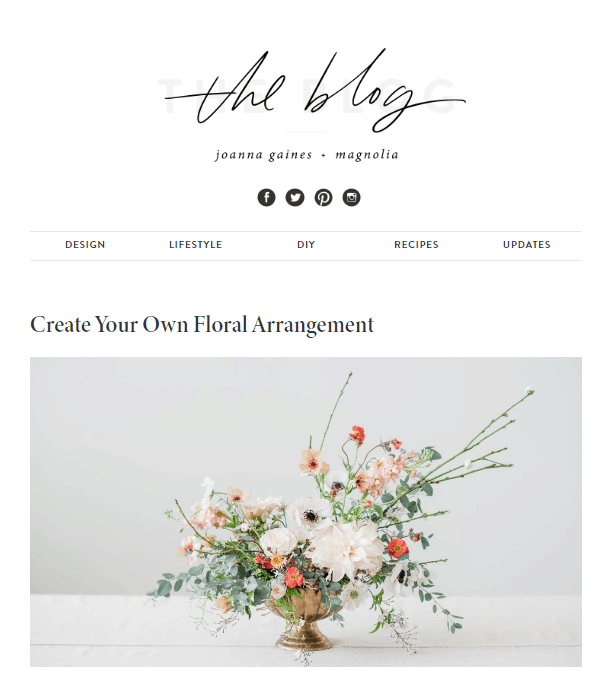 I was delighted to see that Joanna has kept it up and showcases some of her best designs on her home blog. 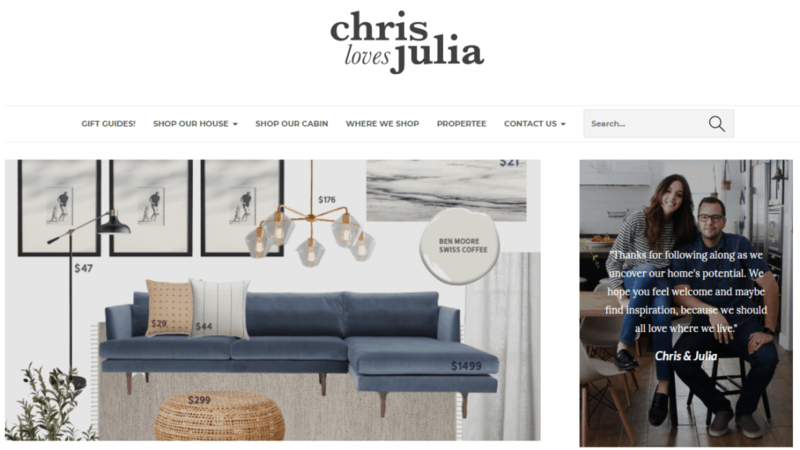 Chris and Julia’s blog also revolves around home renovation and showcases projects that they do in their own home. They are committed to helping others enjoy the space they live in. Diane is committed to helping you find your own style. 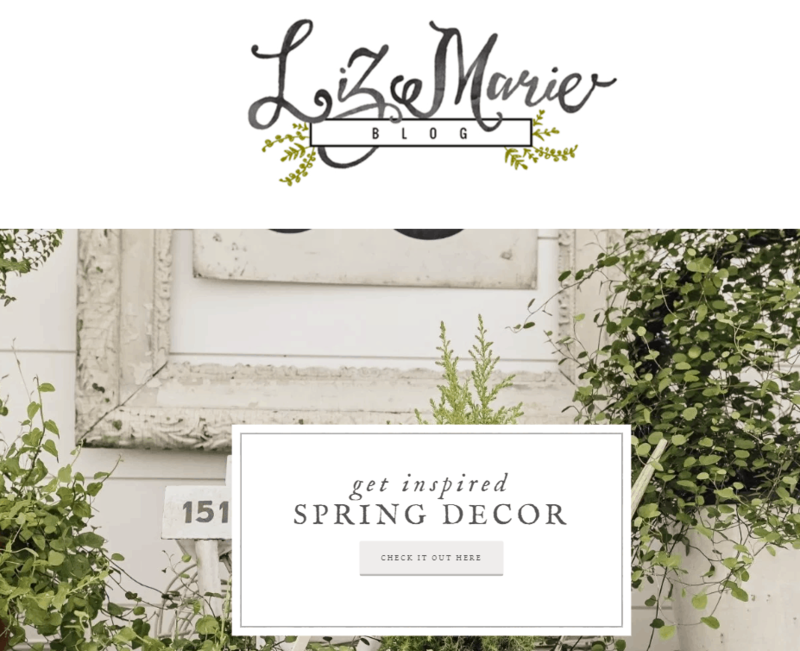 Her blog centers around DIY home decor. Her designs are tasteful and elegant ones that anyone can do to give their home a little facelift in the home decor department. This home decorator blog features farmhouse style with all kinds of interesting textures. I love it! Liz is married to a veteran and she studied interior design while he served our country. They moved back to Michigan and Liz now has a little boutique shop with some business partners while she and her husband work on their fixer upper farmhouse. decor blog. I run the risk of losing hours looking around on Phoebe’s site. Her tagline is “holistic interior design for human happiness.” I love that because your home should be the place that you are happiest. She not only offers inspiration, but her design services as well. 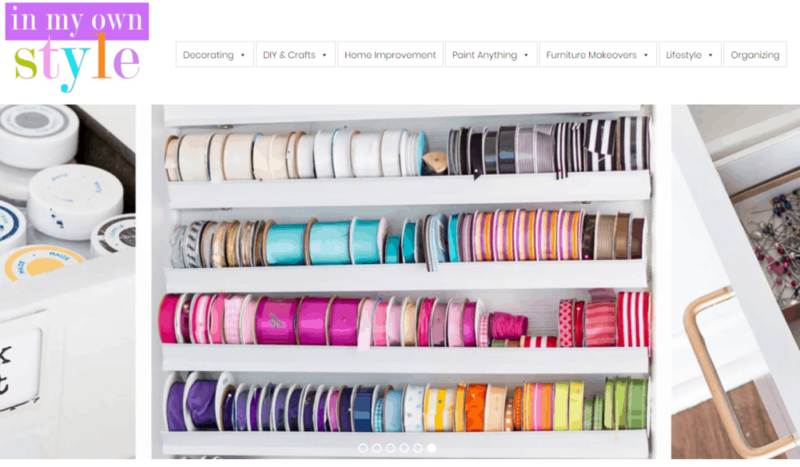 Decorilla is more of a decorator service that also has a blog. You can get your room professionally designed and find inspiration for your next project. Some of us have spaces that are really tiny, but that doesn’t mean that you can’t make it beautiful. The site is massive and has tons of ideas for helping you get the most out of your tiny space. She’s quirky in the most adorable way. Her designs center around neutral colors and then bringing in some bold accent color. She also experiments with different styles and textures. She leans more towards to home decor part of interior design blogs and she’s very good at what she does. If her name sounds familiar, it’s because she is also a tv host. Her designs focus on vintage approachable home style for everyone. Brittni started Paper & Stitch in 2008 as a way to keep track of her inspirations. She was a high school art teacher, but her blog became her full time job. She does lots of DIY content and is always redecorating her house. Her designs are more modern, but instead of just neutral hues, she experiments with all kinds of different color pallets. If you are looking for inspiration to redesign a room, she has many very well organized ideas. 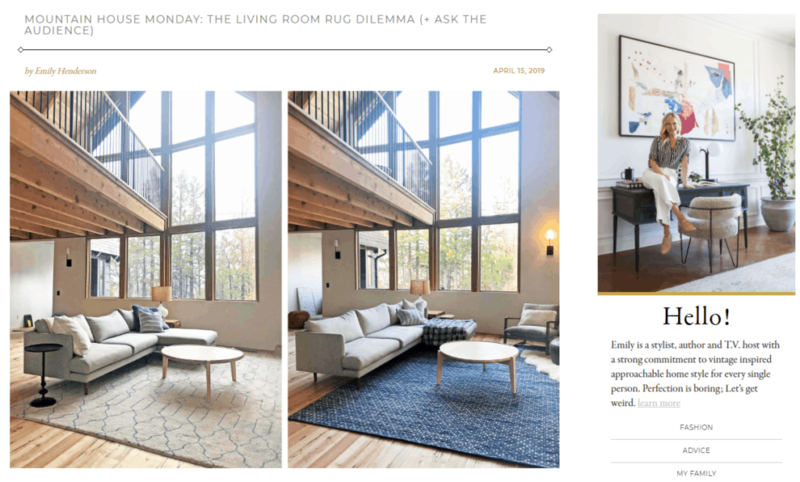 Why should I follow an Interior Design Blog? I love my home. It’s warm, cozy, and is the place where I have made and continue to make some of the best memories with my family. However, as any homeowner will tell you – it’s one big work in progress. When I need inspiration or ideas on how to decorate my home, I turn to my favorite interior design blogs. Decorating and color schemes come naturally to some of us, and others… not so much. Luckily, that’s where interior design blogs come in. Sometimes I have a hard time visualizing how a certain color will look on the walls, what the cabinets would look like if they were painted white, or how a certain tile would look in the bathroom. 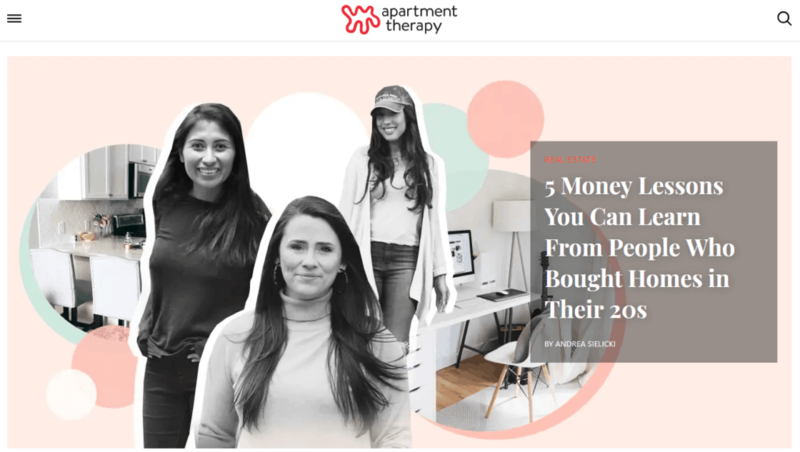 That’s why I enjoy looking at interior decorator blogs – they give me inspiration for my own home and I can get a sense of my likes and dislikes without having to spend a penny! 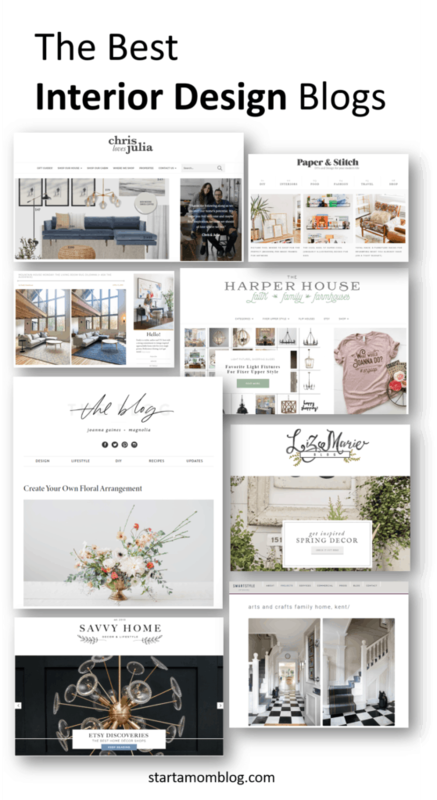 Interior design blogs are a fantastic niche that gives you plenty of potential to make money with your blog. If are passionate about decorating your own home, flipping homes, or DIY projects to decorate or organize, you might consider starting one. I mentioned in the beginning that I have a few favorites. All of the 12 I listed above are stunning. In truth, I can’t pick just one. I think my favorite two are The Harper House and Magnolia because both are quite successful, yet had very humble beginnings. They started from one mom that wanted to try out blogging – just like me and you. So where do you go when you are looking for the best interior design blogs or the best home decor blogs? Where do you get your inspiration from? What would you say your style is?